Fast forward to today, I woke up early and headed to the grocery store with Deen. I bought makings for about 50 sandwiches, a pack of 50 crackers, and pack of 50 cookies. We drove back to the job site and worked all morning: mixing cement and laying more of the foundation. 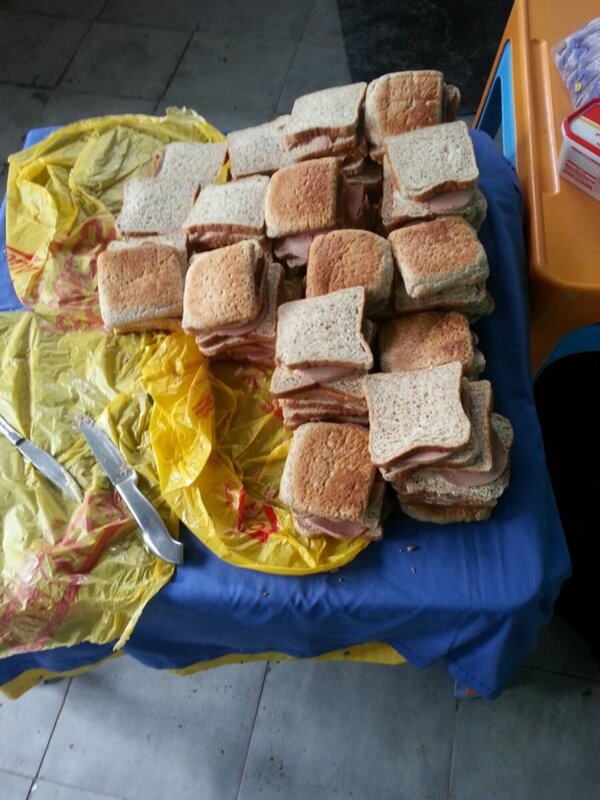 Mid morning, a few volunteers and I started made all the sandwiches. 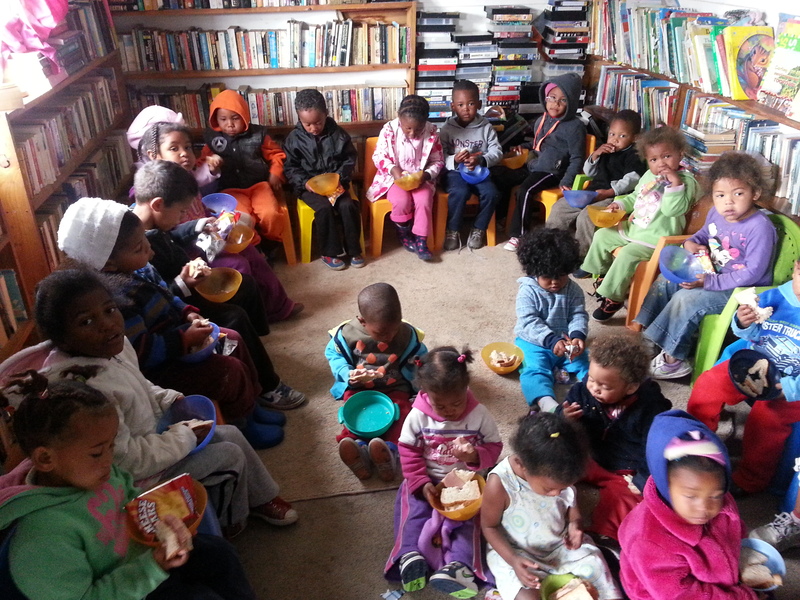 We brought them over to the kids along with a pack of crackers and pack of cookies for each. After giving them the food, I have never seen them so quiet and content. As always, Deen was right and the kids were happy! 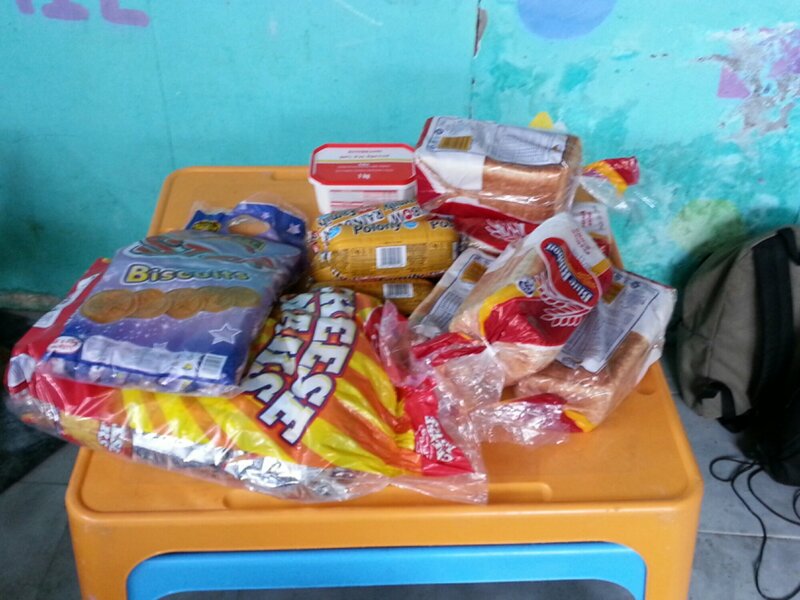 The leftovers were given to the men and women who work at the daycare center to eat and distribute to others in the area. Operation “Feed the Children” was a success!